Cut designs into printmaking blocks with the UJ Ramelson Linoleum Block Cutting Set. 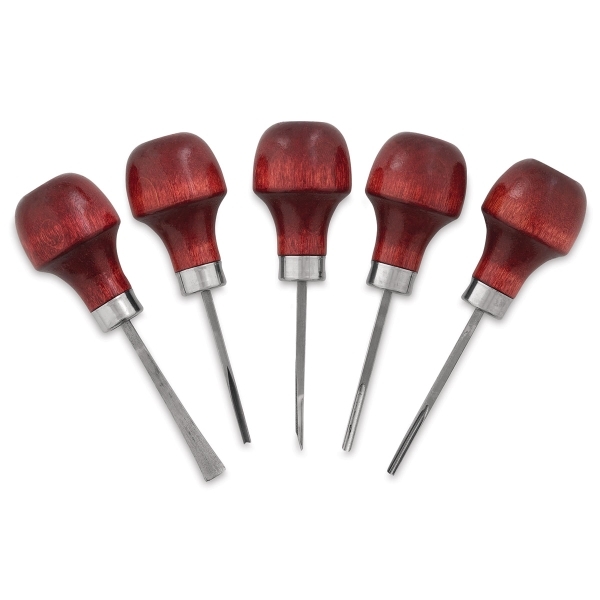 The tools in this versatile set are also excellent for wood carving. The steel tools are sharp and ready to use. They're 4-1/2" long including the handles. The mushroom-shaped handles are made from white birch hardwood. The lower portion of each handle is cut away for low-angle work.